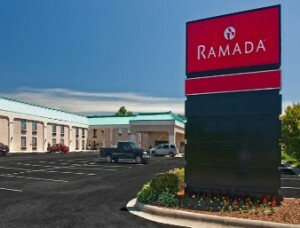 Free Hot Breakfast and Close to Historic Downtown Hendersonville, the Ramada Hendersonville hotel is located just off Interstate 26 with easy access to Asheville. Our Hendersonville, NC, hotel near Asheville Regional Airport provides the convenience of being close to downtown with the quiet comforts of being away from it all. We serve up a hot breakfast buffet every morning and grab some snacks from the convenience store before you head out for the day. Enjoy free Wi-Fi Internet access in all rooms. Some rooms feature flat-screen TVs, microwaves or refrigerators, and Jacuzzi suites are available. We offer handicapped-accessible, non-smoking and pet-friendly hotel rooms. Take advantage of our lobby business center to help you stay connected to work. 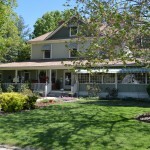 Our hotel in Hendersonville, NC, also features meeting space to accommodate your next event.